Research highlights hotels losing out during high demand periods; Fornova is launching new dashboards addressing Direct Channels in the Fornova Distribution Intelligence solution. London, 27 November 2018 - Fornova, a leading provider of distribution intelligence and automation solutions for hotels, have released their latest report on Distribution Trends for the impact of availability and allocation management. The report analyses and highlights key trends around allocation and availability management by hotels that are impacting revenue and profitability. Poor management of inventory allocation to contracted OTA partners can severely impact occupancy and revenue. Similarly, availability issues on brand.com can increase risks of overbooking, resulting in higher cost of booking and affect brand perception. The key findings in the report revealed that the majority share of allocation and availability issues are occurring during wrong demand periods. Hotels were found to be closing channels or not allocating enough inventory to partner channels during low demand periods increasing the risk of lost bookings. Similarly, OTAs were found continuing to show availability during sell-out dates for brand.com increasing risk of overbookings. The research also reveals that on average only 15% and 2% of hotels in a chain contribute to nearly 50% each of all allocation and all availability issues, respectively. By focusing on a small group of hotels, chains can realize big impact very quickly. Fornova is announcing the launch of their brand new dashboards for direct channels in Fornova Distribution Intelligence. The market-leading platform that empowers hotels to monitor, benchmark and manage their distribution health has been extended to now include direct channels. Chains and hotels can now quickly identify and address distribution challenges, beyond just rate parity, such as allocation and availability that is affecting their revenues and bottom line. 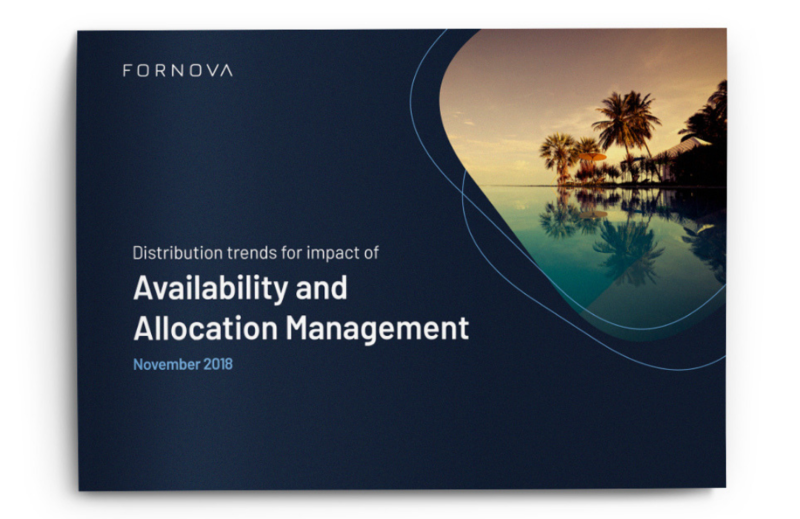 The detailed report which contains trends, analysis of how availability and allocation management is impacting hotel distribution is available from Fornova as a free download.